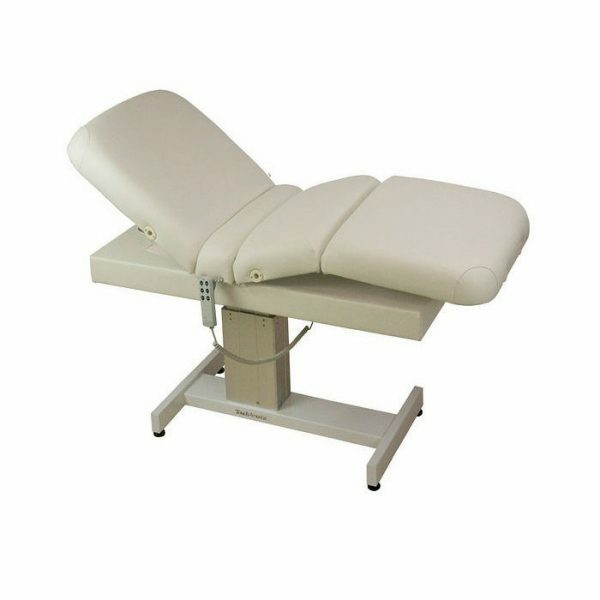 The Venetian PowerTilt Spa & Salon Treatment Table is the fully-powered flagship of the Venetian treatment table series. 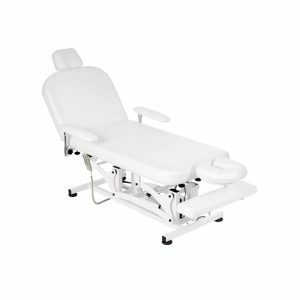 Comfortable, versatile, and durable, offering push-button electric adjustments, contemporary elegance, ergonomic design, and plush comfort for your clients. Its powerful motorized lift mechanism can raise 375 pounds quietly and smoothly. Treat yourself to this touch of elegance. 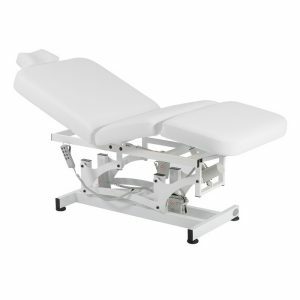 The Venetian PowerTilt Spa & Salon Treatment Table is the fully-powered flagship of the Venetian treatment table series. 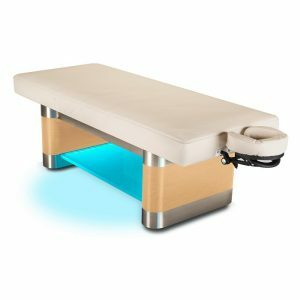 Comfortable, versatile, and durable, offering push-button electric adjustments, contemporary elegance, ergonomic design, and plush comfort for your clients. Its powerful motorized lift mechanism can raise 375 pounds quietly and smoothly. Treat yourself to this touch of elegance. Shown with optional accessories. • Lift capacity 375 lbs. • Table weight 210 lbs.